Ethel comes to Bozeman Dentistry after a career in education. She is a licensed Montana teacher and holds a K-12 Principal’s license with ACSI. She is currently earning a certificate in counseling. She is excited to join the excellent team at Bozeman Dentistry by providing customer service to our patients. When Ethel is not cross-country skiing or hiking in our lovely outdoors, she can be found serving her family and volunteering in our community. Manda is a fourth generation Montanan who grew up in the Gallatin County and graduated from Manhattan High School. She spent a couple of years in Salem, Oregon where she trained as a dental assistant before marrying and eventually moving back to Bozeman. She has worked in the dental field all of her adult working years. Manda loves spending time with her husband and three very busy children and curling up with a good book. Cindy attended the University of Detroit Mercy School of Dentistry. Upon graduation, her instructors awarded her highest in her class for patient education skills. Cindy comes to us from Michigan with over 21 years of hygiene experience and 18 years experience in Dental Assisting. She moved to Bozeman to watch her granddaughters grow up and share her life with her son and his family while enjoying the Montana outdoors. 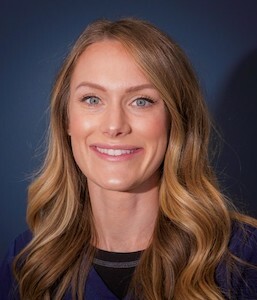 Carina grew up in Bozeman and is recently back after spending nine years in Denver, Colorado and then two years in Boise, Idaho to complete her dental hygiene degree. She enjoys any activities the outdoors has to offer, the river being her favorite place to be. Carina has two young nephews who, “Fill my heart with joy”, and she spends most of her time with them and the rest of her family. Anyone who crosses her path should expect to be fed at some point because she loves to cook for and feed people. Lyndsey grew up in Belgrade and is happy to be back in the Gallatin Valley after graduating hygiene school in Great Falls, MT. She prides herself on treating her patients like she would her own family and making it a great experience. When she is not in the office you can find her spending time with her husband and family, traveling, playing outside and throwing the ball for her yellow lab, Rico. Jan came from the desert Southwest to the Great Northwest making Bozeman her home 22 years ago. She has been chair-side assisting for 40 years and is still passionate about serving patients. The summers get her out camping and gardening, enjoying Montana’s amazing weather. Stephanie began her career in hospitality shortly after moving to Bozeman for college. She ran a local hotel for five years before moving to Bozeman Dentistry. She plans to start her family here and lay down roots with her husband. Stephanie can be found enjoying year-round seasonal activities from skiing to hiking. When she’s not out and about you can find her at home with her two cats.